WASHINGTON — It’s fun to dream about living in a house with something like the ‘‘Star Trek’’ computer — a frictionless piece of software that can answer whatever question pops into your head and out of your mouth. And we’re getting closer to that futuristic vision with gadgets such as Microsoft’s Kinect controller, Amazon’s Echo assistant, and smart televisions from Samsung and others. But if your device is always ready to hear your commands, does that mean it’s always listening, too? The Electronic Privacy Information Center wants regulators to delve deeper into the privacy implications of such devices, including those with voice-controls that are ‘‘always on.’’ The group is asking the Federal Trade Commission and Justice Department to investigate always-on technologies, saying that ‘‘it is unreasonable to expect consumers to monitor their every word in front of their home electronics.’’ EPIC also pointed to cameras made by Canary Connect and the home appliance firm Nest — bought by Google last year — which makes security cameras that store audio and video when triggered by an ‘‘unusual noise.’’ Companies have addressed some questions about just how closely their gadgets are listening in the past, often pointing to the fact that while the systems are always at the ready, they only really engage when consumers trigger them by saying a certain phrase. (Or making a certain gesture, in the case of motion-controlled devices.) EPIC said many companies don’t offer much information about how their products distinguish between consumers’ “trigger words” and other noises that can trigger accidental recordings. The FTC spokesman declined to comment. HONG KONG — Across Asia, investments in technology startups have quietly escalated at the same swift pace and to the same heights as in the United States. In the first six months of this year, 46 Asian startups have had fund-raising rounds of $100 million or more, just short of the 48 in North America, according to the research firm CB Insights. The focus of investors in Asia — China and India in particular — reflects an increasingly decentralized reality in global technology investment. Asian banks, private equity firms, venture capital funds, and hardware and Internet giants are all willing to invest in domestic startups. And US investors are increasingly willing to back Asian players with advantages in their home markets. The turmoil in China’s stock market in recent weeks, though, raises new questions about whether the pace of investments will continue. The sharp rise of stocks in China over the previous year helped support many of the big fund-raising rounds. Kai-Fu Lee, chief executive of the startup incubator Innovation Works and a former vice president at Google, predicted that the downturn would not halt the big investments, even if there are some hiccups. He said even if valuations decreased a bit, any downturn would be cushioned by the large number of investors coming from America, and because many of China’s biggest tech stocks, like Alibaba, are listed on US exchanges. NEW YORK — A strengthening US economy may prompt the Federal Reserve to raise interest rates as soon as September, said Byron Wien, vice chairman of the advisory services unit at Blackstone Group LP. 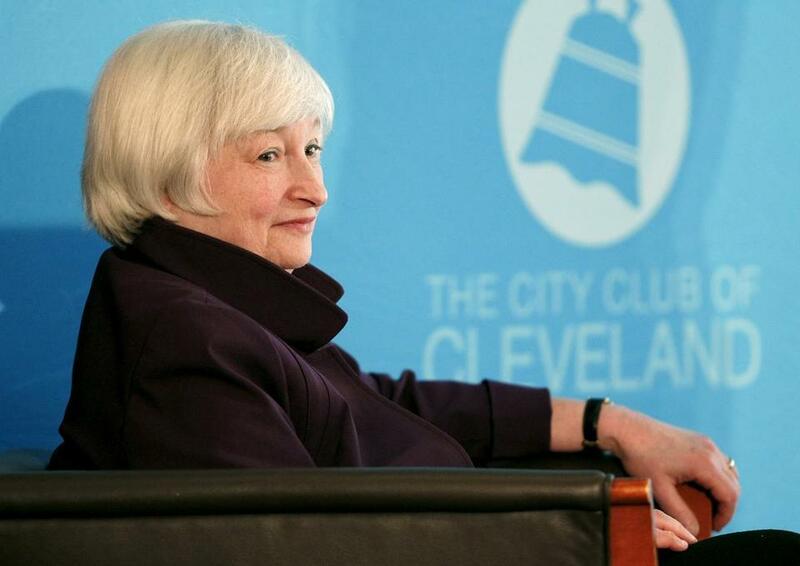 “I think the economy is going to do much better in the second half, and I think the Fed is dying to go,” Wien said Sunday on the television program “Wall Street Week.” Fed Chair Janet Yellen, in a speech Friday in Cleveland, maintained her call for an interest-rate increase this year. The probability of a rate increase in December moved up to 67 percent from 54 percent on July 8, according to futures data compiled by Bloomberg. For September, the odds increased to 33 percent from 21 percent. In January, Wien said the Fed would act before the mid- point of the year. “Obviously, I was wrong about that,” he acknowledged Sunday. NEW YORK — Drivers paid an average of $2.83 a gallon for regular gasoline over the past two weeks, the lowest since May 15, according to Lundberg Survey Inc. Prices slid 1.66 cents in the period through July 10 and were down 3.34 cents since June 12. Gasoline was cheapest in Jackson, Miss., at $2.42 a gallon. Los Angeles had the highest price in the contiguous 48 states among markets surveyed, at $3.66 a gallon. Last week, the average in Massachusetts was $2.75. Gas prices retreated as falling crude oil prices reduced refiners’ costs for producing motor fuel. Nationwide, gasoline supplies rose 1.2 million barrels to 218 million in the week ended July 3, the biggest increase since April. Retail gasoline is almost 84 cents lower than a year ago, according to Lundberg. “The slide in crude-oil prices has been a gift to refiners, who are passing those cost cuts through the system and down to the consumer,” said Trilby Lundberg, president of the survey. “It’s likely we’ll see another national decline at the pump as refiners continue slashing wholesale prices for retailers and distributors.” West Texas Intermediate slipped $6.89 to $52.74 a barrel in the period covered by the survey.